Hey guys, first time poster here. I'm starting to look for supplies for my 18" by 18" by 24" gold dust day gecko terrarium. 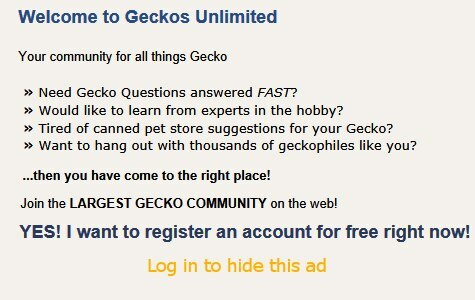 I own other geckos, but they're leopards so I've never had to dive too deep into the lighting department. I've done hours of research but still can't pick out some bulbs. I know the tubes are better, but I'm looking for something that can fit in the exo terra 18" hood (and I'm not sure which of these can) (https://www.joshsfrogs.com/exo-terra...3-5-x-7-8.html). These are all within my budget, so assuming one of them is sufficient, I'd like the best/brightest I can safely use without having to elevate the fixture. If It'd work better, I could use both sockets in the hood for the reptisun lights and get a separate dome lamp for the heat bulb. Oh, and what exactly is the difference between the 5.0 and 10.0? What effect does wattage have? Okay, the heat bulb. Why are all of them terrible??? All of them seem to be prone to dying 3 days after purchasing. If anyone could suggest a brand, or even better, link to the exact product you'd recommend (I have the money, but I'd really rather not get one of the more complex expensive ones. Any under, idk, $30 if possible?). Would a ceramic heat emitter work as a sole heat source, and if so, any idea which can go in that hood? I just want to make sure I get this right the first time. You don't have to have all the answers, any help is appreciated. If there's somewhere else I should post this, please do tell. Last edited by thezoo; 02-08-2019 at 04:07 AM. Welcome aboard! I'm glad you've got a large enclosure to work with: an 18 x 18 x 24. I see many questions. I don't have many answers. Some of the links you've posted don't work. Please fix that by editing. Both Zoo Med's Reptisun bulbs and tubes are excellent! Arcadia's bulbs and tubes are tops too. The difference between Reptisun 5.0 and 10.0 bulbs and tubes is UVB strength. The 10.0s are stronger. What have you been trying for heat? From experience I know that Exo Terra bulbs are poor in terms of reported strength of UVB being accurate, heat output, and longevity. Lighting/heating is not Exo Terra's forte. A CHE could work for heat. I'd place a CHE on a thermoSTAT, because air temps will become way too hot up close. Zoo Med makes nano ones: 25 and maybe 40 watt strengths. That takes experimenting. PetSmart's All Living Things brand CHEs start at 60 watts and are very reliable. All CHEs I know of have standard screw-in bases. How about 2 Fluker's 8.5 inch diameter domes -- one for each bulb? Place the CHE on a thermostat. Both bulbs can be timed. Last edited by Elizabeth Freer; 02-08-2019 at 04:03 AM. Setting up an 18 x 18 x 24 inch Exo Terra. Thanks for the reply! The links look good now. I figured that was the difference, just wanted to be sure. I'd like one of these 10.0 bulbs as long as it won't be too intense. I haven't actually bought anything yet, just reading lots of negative reviews for the heat bulbs. Yeah, I saw someone recommend an exo terra heat bulb and when I looked it had more negative reviews than positive on amazon, lmao. How hard is it to make a bulb that won't explode? Anyways, I was going to check the temps before buying a thermostat, but I'm pretty sure I'll need one anyways. I'll definitely consider the domes, which I just realized I'll have to buy at least one of if I use a thermostat because it'd shut off the uvb bulb too along with the heating element in the hood- well then. Since mesh cuts down UVB ~50% (last I heard) a Zoo Med Reptisun 10.0 UVB bulb will probably work just fine. Check with Zoo Med's customer service just in case: 888-496-6633. Last edited by Elizabeth Freer; 02-08-2019 at 11:53 AM. Alright, thanks. If nobody tells me otherwise I'll go with a 10.0- and probably in a dome lamp, both because if I'm only using the hood for one bulb it'd take up less space and because I won't have to worry about if it'll fit (I can't find anywhere how large of a bulb will fit in that thing). What a shame, the hoods looked so nice. I'll probably check with some others before buying anything, but of these two, which do you think you'd choose (the $25 "15 watt" on the first page and $30 "regular" on the second)? What do you think of these turtle bulbs for heat? Maybe it's because they're made to be "tough", but they look better than the others. Exo terra's actually look better than zoo med's this time (they seem to have problems with the front glass falling off). Based upon your 24 inch high Exo Terra and the fact that mesh reduces UVB transmission up to 50% I recommend Zoo Med's Reptisun 10.0 UVB compact fluorescent bulb. Please contact Zoo Med customer service to verify how much mesh reduces UVB rays AND how long their 10.0 bulb is: 888-496-6633. That's important in deciding whether the 8.5 inch dome I linked will be deep enough. That could depend upon your room lows at night. If there's any chance you'd be using overhead heat 24/7, I'd go for Zoo Med's or All Living Things' brand CHEs. I don't recommend any visible light at night, except for moonlight bulbs for a couple hours if you're watching your geckos. I no longer trust Exo Terra brand bulbs. The first Exo Terra CHE I purchased did not work from the start. The bulb I got when I returned the first heated up marginally. From that experience Exo Terra bulbs are poor in terms of heat output and longevity. I already knew their UVB compact fluorescents weren't decent. Lighting/heating is not Exo Terra's forte. I've never used the halogen turtle bulbs you linked. Last edited by Elizabeth Freer; 02-09-2019 at 12:42 AM. Oh, I know about the night light thing. If I need night time heat I'll definitely be using a che- I've saved the ones you mentioned for future use. Like I said, it'll be quite a while before I'll be able to do this, so I've got plenty of time to decide and experiment- I'm for sure running the terrarium empty all set up for a few weeks to make sure it's all good, too. Complete with checking temps 10 times a day and night. I was hoping for a basking bulb that produces light for the extra lighting, but I could always use a bulb just for viewing in a third lamp if I have to use a che during the day in place of a basking bulb. If I try out anything sketchy I'll be sure to at least put it on a good thermostat (and test it without any residents!). Oh and thanks for the number, I wouldn't have even thought to call them. I'll probably put it off for a while thought because I'm so scared of phone calls, lmao. Well, thank you, you've changed my plans for the better. Two or three dome lamps with a reptisun 10.0 (after calling zoo med to make sure that's good), a heat producing bulb (either a che or a basking bulb, that'll take me some more time to decide), and possibly a third just for viewing. Again it'll be months but that's the plan now.